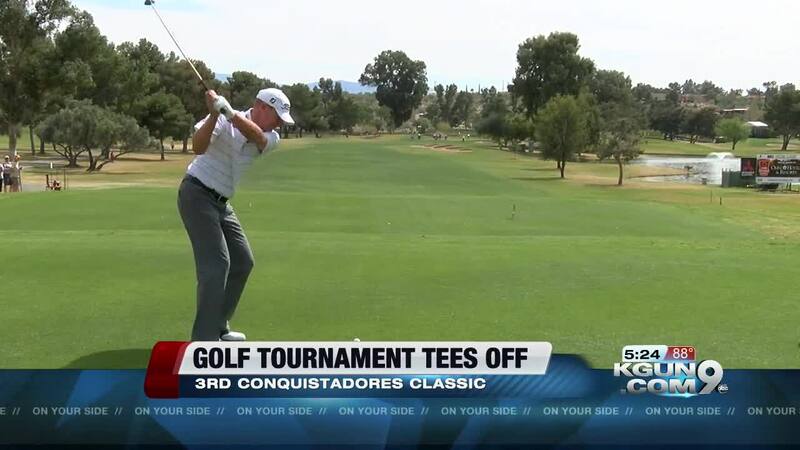 Golfers tee'd off Wednesday morning, officially starting the 3rd Annual Tucson Conquistadores Classic at the Tucson Omni National Resort. The first two days of the tournament consist of a Pro-Am, where professional golfers team up with a group of amateurs to play. The main event -- the PGA Champions Tour Event -- goes from Friday to Sunday. Some of the golfers playing in that event include Davis Love III, Bernhard Langer, Tom Watson, Fred Couples, and Steve Stricker. Stricker, making his PGA Champions Tour Event debut this weekend. "I'm excited to play in my first championship tour event here," he said. "So I'm looking forward to the week. I know it's going to be tough, but I'm looking forward to it." Many fans there to watch the Wisconsin native make his big debut, and he was very friendly to them -- talking to many and signing autographs. Stricker made the choice to play in both days of the Pro-Am leading up to the PGA event in an effort to find his groove early on. "I'm just trying to get my game going and get it in shape and ready," Stricker said. "A good week to start playing well is right here." 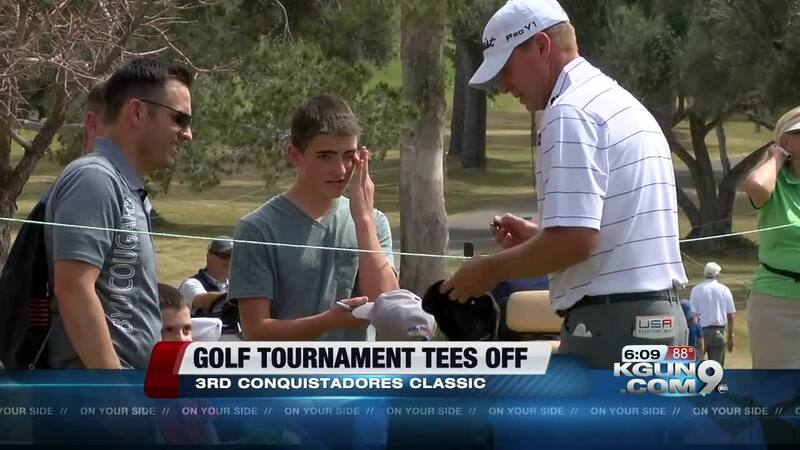 Much of the proceeds from the Tucson Conquistadores Classic go towards various local charities -- something very important to Stricker. This year, officials told KGUN 9 they expect to raise more than $500,000. "It raises money for charity, that's the bottom line," Stricker said. "We put one on up in Madison, Wisconsin, and it raised a lot of money for charity. A lot of these non-profits need this charitable money to run their organizations and their programs for the year." Tickets to the event start at $29 -- follow this link for more information.